Korean BBQ is one of the most famous and beloved Korean food – I would say. I’ve never met anyone who loves meat and doesn’t love Korean BBQ. 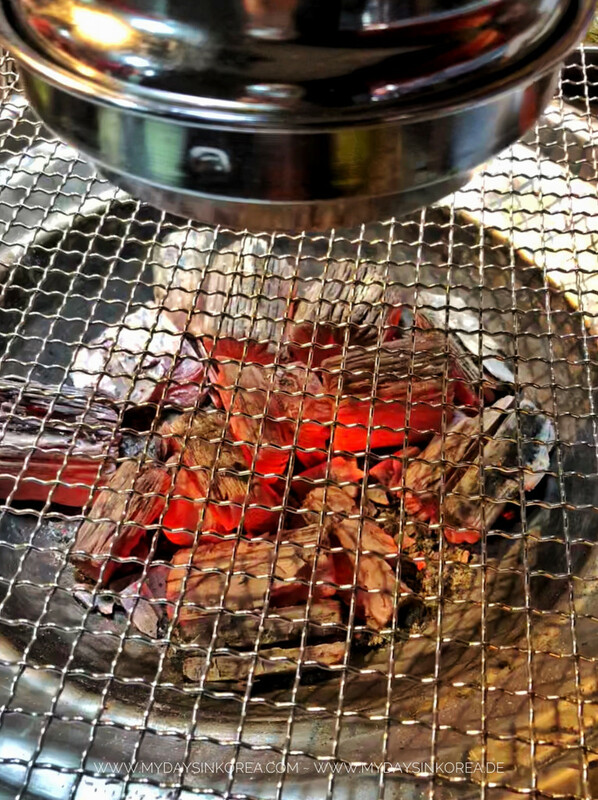 In Korea, you can easily find BBQ Restaurants in every corner. They have special table grills with a hole for burning charcoal and an integrated smoke outlet. Well, since I was a child, I already loved to eat fish and seafood. A long the coast in Vietnam you can have the best seafood ever. While living in Germany, I really miss it, because fresh seafood there was too expensive. But now I’m in Korea, it’s really easy to find really fresh products from the sea with affordable price. 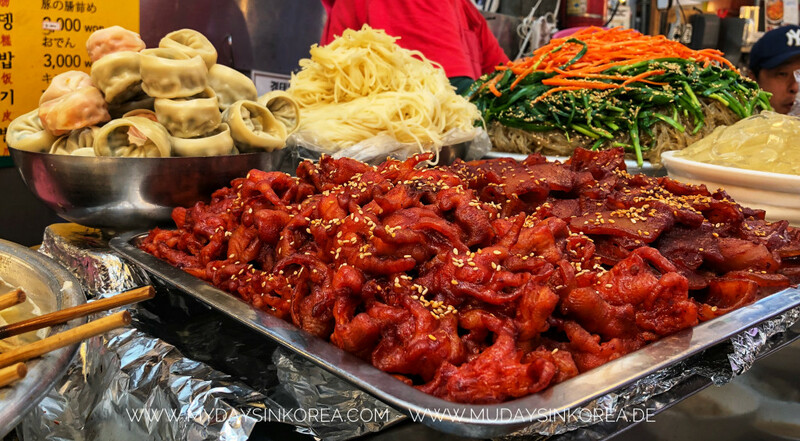 For example in Seoul’s fish market – 노량진 수산시장 (Noryangjin Jichang). It’s weekend again! And it’s also time to discover more of the tasty Korean street food. Since the noodle is made from agar (seaweed extract), it has almost no taste and only give you very few calories. 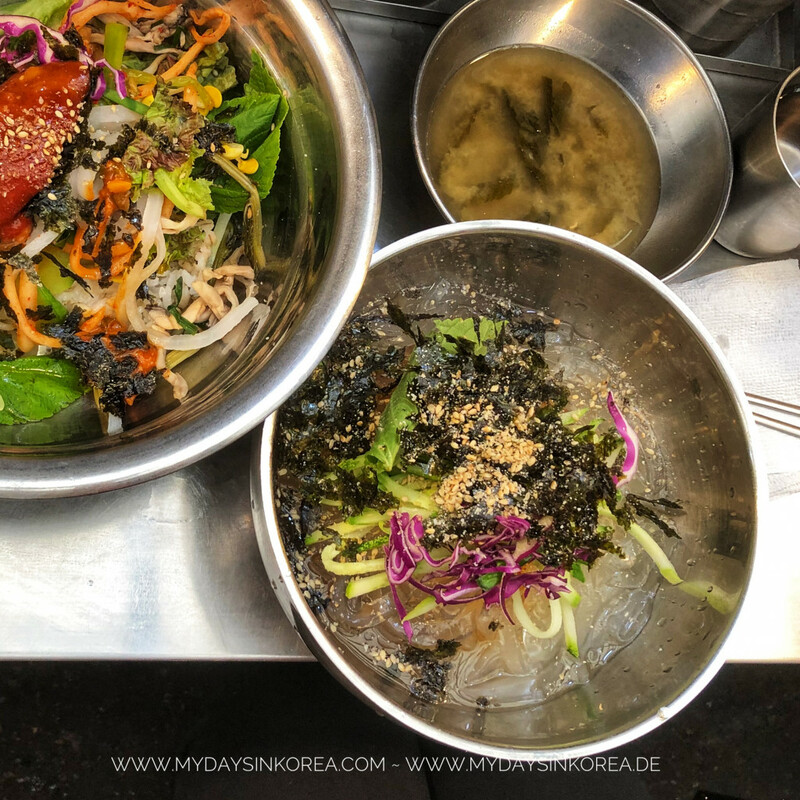 For about KRW5000 (~3,5€) you can have a bow cold noodle mixed with dried seaweed, lettuce, sesame seeds and ice-cold noodle water. Yummi when it’s hot. But the best part is, you don’t have to worry about the calories 😜. I’ve had a very useful and amazing Korean lesson this week. 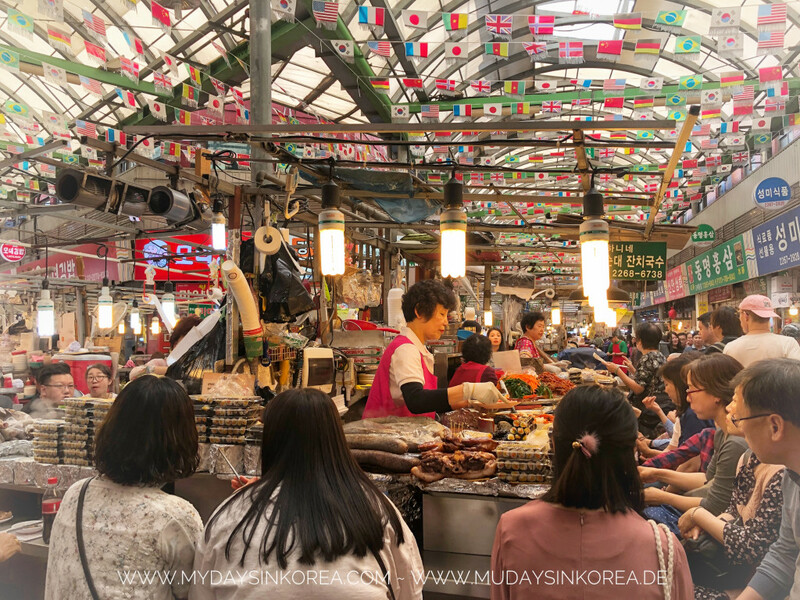 We went to the traditional Gwangjang Market and learned names of the items, practiced with Korean, how to ask for price, buy or order food, etc. I feel quite confident now to ask those questions, but still struggle with all the answers Korean give me 😅. Well well… need to practice more. 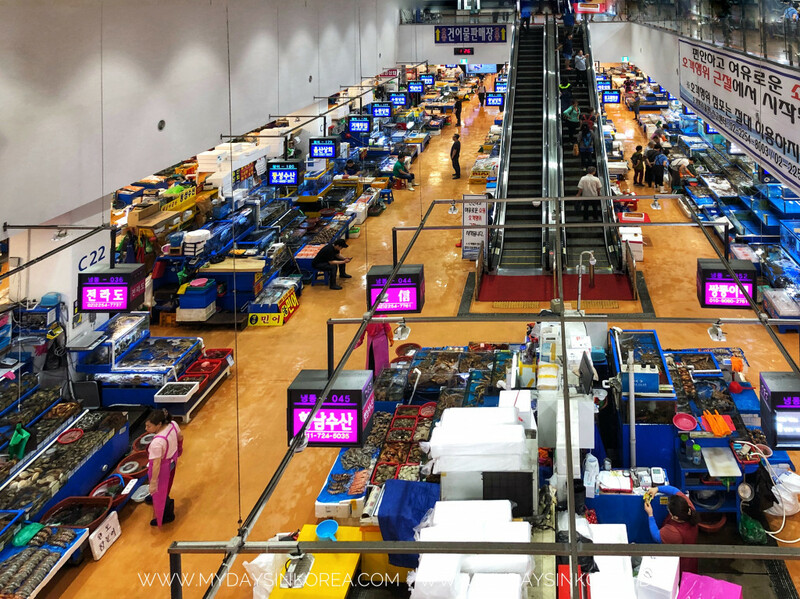 However, I found out, that Gwangjang market was a real food paradise. I personally perfer to go here than to the touristy Tongin market.